Ficus is a very popular species of bonsai ornamental plants. It is composed of roughly 850 species of plants that are known not just for their unique beauty but also for their extreme training like pruning and wiring. If you are new to growing bonsai trees then a ficus bonsai could be a good kind of bonsai that you can start with. Ficus species of bonsai respond well to rigorous pruning and many restrictions used to control bonsai growth. Ficus has been grown about 60 million years ago and is believed to be one of the first fruit-producing trees suitable for human consumption. The oldest ficus was first located in Sri Lanka and has been grown in 288 BC. These trees are not native to North America and are found in Australia, Africa, Asia and the Pacific Islands. Ficus plants are found in hot and humid regions of the world. These plants have superb natural adaptability allowing these to grow in various places from sunny to dark shade. However, mature plants could become invasive because these can produce vines that can choke neighboring vegetation. If you are planning to grow ficus outdoors, these plants prefer an open area that will allow the tree to spread. It has rapid growing branches that can spread out horizontally and vertically. You may also grow ficus indoors in colder climates. Indoors, the ficus should be planted in containers displayed in a patio or greenhouse. When given the right conditions, the ficus can grow rapidly. An invasive ficus plant can adapt to any kind of situation but can grow well under the full sun. Indoor ficus plants can spread 1 to 2 feet in a year while outdoor plants can branch out 4 to 6 feet per year in every direction and produce fruit. In growing bonsai ficus trees, you will find a number of good species to choose from. There is the Ficus Benjamina or the Weeping Fig which is dubbed as one of the most popular houseplants in North America, the Ficus Macrophylla or the Morton Bay Fig which is renowned for its beautiful red-orange flowers and the Ficus Salicifolia or the Narrow Leaf or Willow Leaf Fig which is popular for its strong roots. Another popular ficus species is the Ficus Retusa Macrocarpa or the Chinese Banyan knew for being an easy bonsai for beginner growers. Choose wisely and you will be rewarded with a healthy and easy growing bonsai that you will be proud to show to friends, family, and fellow bonsai enthusiasts. The Ficus is a strictly indoor plant. Place it near a sunny window where it will receive full (six to eight hours) sunlight. Depending on the species of Ficus you grow and the area you live in, your Ficus may enjoy direct or indirect sunlight. Start by placing your Ficus where it will receive direct sunlight. If your Ficus’ leaves start to yellow, move it to indirect sunlight. Whichever spot you choose, keep your Ficus away from drafts. Don’t go crazy with the air conditioner or the heat if you want a happy Ficus. Ideally, the indoor temperature around the Ficus should remain between 60 and 80 degrees Fahrenheit. If the weather is particularly warm in late spring or summer your bonsai Ficus can spend time outside. But be sure to bring it in when temperatures fall below 65 degrees Fahrenheit. Don’t move it back and forth too frequently. It may also drop its leaves when you move it back inside from an outdoor vacation. The Ficus, whether full-size or bonsai, is a notorious leaf dropper. When temperatures drop near its window in the winter months or it receives too much draft from a nearby air conditioner or heater, it may drop its leaves. Simply move it to another spot free from drafts with plenty of sun. Otherwise, try not to move your bonsai Ficus much at all; consistency is key. Small changes in its environment may cause it to drop its leaves. Falling leaves are disturbing to see but not necessarily detrimental to the plant. The Ficus bonsai is a tropical, moist-looking plant but you must take care not to overwater it. The Ficus bonsai needs to dry out between drinks. 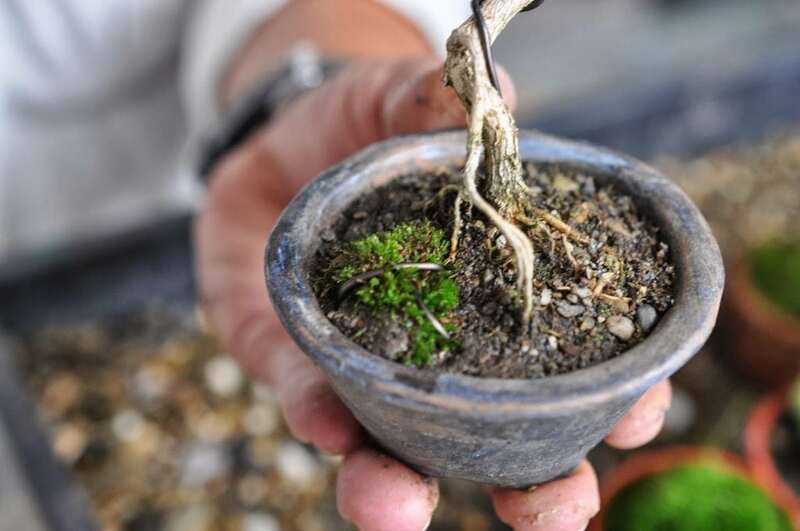 Once a day, stick your finger into the soil in your bonsai’s pot. When it is bone dry to the bottom, your Ficus is ready for a drink. Water (link to watering page) it deeply until water drains out of the drainage holes in the bottom of the pot. Remember to check your Ficus soil frequently. 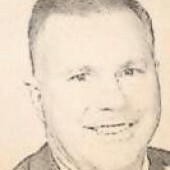 The soil must not remain bone dry for any extended period of time. Although they like periodically dry soil, Ficus bonsai trees love moisture. Place your Ficus bonsai’s pot (link to bonsai pot page) on a small tray filled with small pebbles. The overflow from periodic watering will slowly evaporate and keep the air around your Ficus moist. To increase the humidity even more, mist your Ficus plant’s leaves each time you water. Fertilize your bonsai Ficus during the growing season when it is actively growing. Fertilize once every two weeks. Alternate between a balanced houseplant fertilizer and a high-nitrogen fertilizer (link to fertilizer page) applied at half the recommended strength. When using a balanced or a high-nitrogen fertilizer, follow the manufacturer’s instructions for application methods. Ficus bonsai trees must be shaped early. Wire branches when they are less than 1/2 inch thick. Check on wired branches frequently. Ficus bonsai are prone to growth spurts during the growing season. Scars and cuts in the bark can happen quickly. Remove all wires before they cut into the bark of your Ficus bonsai’s trunk or bark. Ficus bonsai plats respond well to pruning. Branch trimming may be done at any time of the year, in or out of the growing season. Advanced bonsai growers often choose to allow their Ficus to grow large and then cut them back severely to produce stockier plants with beautiful taper. However, only expert bonsai growers should attempt this with Ficus Benjamina. It is prone to die back when severely reduced. Ficus bonsai trees may be defoliated, but they are temperamental and should only be defoliated by expert bonsai cultivators. Never defoliate a Ficus bonsai more frequently than once every year or two years. Only defoliate your Ficus bonsai if it is healthy and actively growing. Defoliating weak or sick bonsai trees may result in die back. A healthy Ficus bonsai must be repotted once every two years. But don’t stick rigidly to the calendar. The Ficus bonsai is a slow grower but it is prone to periodic growth spurts. If after one year you notice roots growing out of the container, repot early. The best time to repot your Ficus bonsai is in early spring or mid-summer. Carefully remove the Ficus from its container, baring its roots. Fill the new container with fresh potting soil spread loosely around the bonsai’s roots. Water deeply after you repot. Then move the Ficus to a shady spot where it receives only indirect sunlight. Give it three weeks to recover its roots then move it back to its old sunny spot. 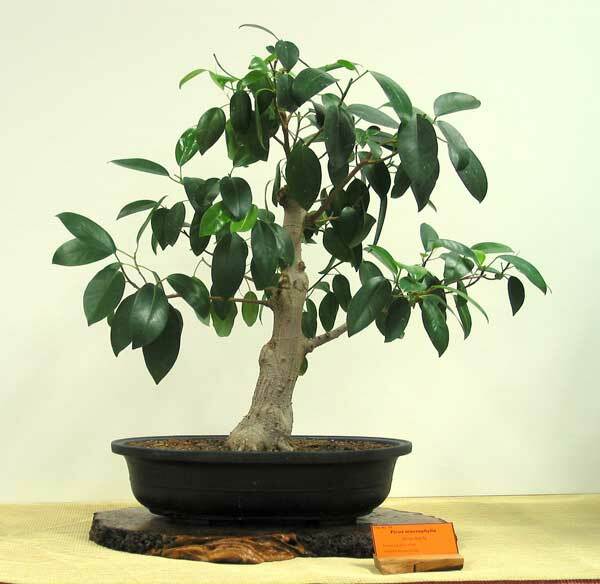 Many ficus tree bonsai growers start by purchasing a ficus tree to work with. You can purchase ficus trees from online retailers and garden sites or you may purchase trees from a local nursery. Ask for a young tree and mention that you intend to use it for bonsai growing. Be very cautious about buying just any tree. Make sure to purchase only from reputable and reliable tree growers and retailers. If you want to use grow ficus tree bonsai straight from ficus seeds then you may do so. You can purchase quality ficus seeds from online seed banks or from local seed shops. If you have ficus trees and plants growing in your backyard or in your neighborhood then you can harvest seeds and use these instead. 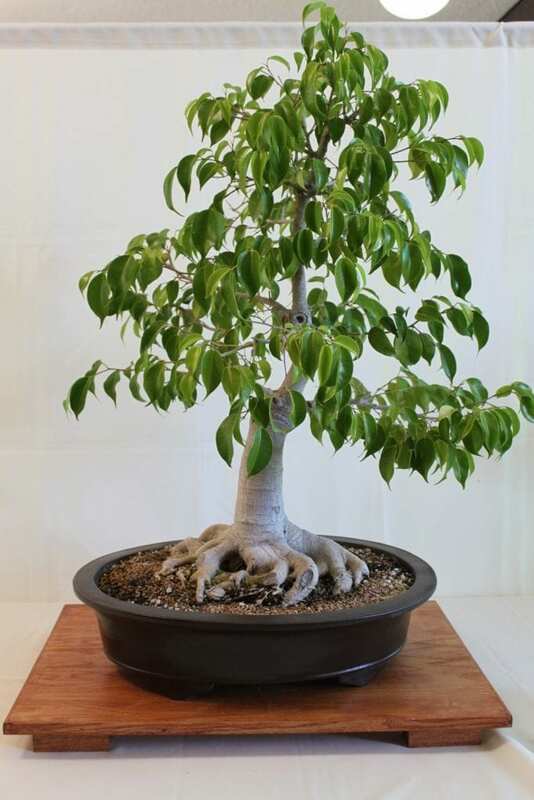 There are a variety of pots to choose from when it comes to growing ficus tree bonsai. To be true to Japanese tradition, jade pots should be used. You can purchase bonsai pots or jade pots from online or local bonsai shops. There are a variety of fertilizers fit for growing ficus tree bonsai. 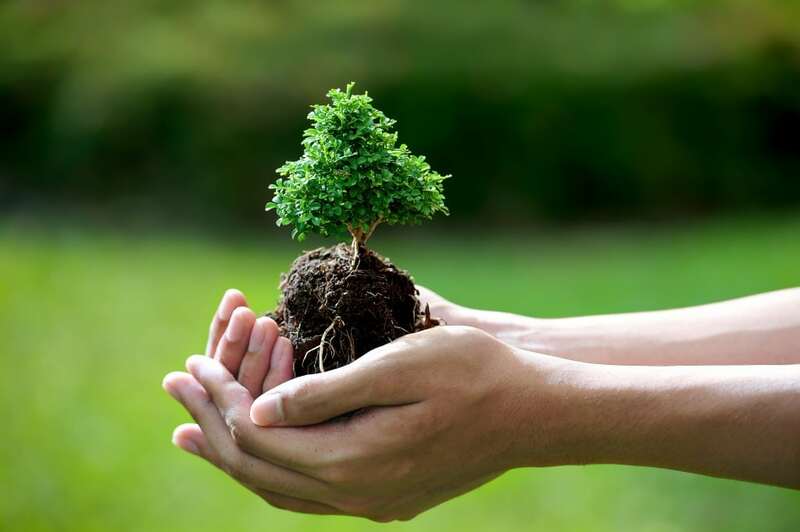 Choose top quality, natural or organic fertilizer because these have natural nutrients that will be able to make your bonsai plants healthy and will also make these grow well. You need a sharp pair of scissors or cutter to prune your bonsai plants. You also need scissors to remove dead tree barks and expose the inner bark. A good pair of pliers will make it easier to cut wires and to bend wires to shape your ficus trees. You can cut wires according to the style you want. You must have a clean water supply to be used on your bonsai trees. Usually, rainwater or tap water would do just fine however, it’s best to check the quality of your water supply before you use this on your plants. There are two types of wires that you may use: anodized aluminum and annealed copper wires. Anodized aluminum is for bonsais that have soft trunks while annealed copper wires are for bonsais that have thicker trunks. You need to add aggregates to improve drainage and aeration for potted bonsai plants. There are a few aggregate rocks to choose from Akadama, sand with coarse grains, decomposed granite, pumice, turface or diatomite. The type of bonsai growing soil to use depends on the kind of tree that you want to cultivate. This is why you must get to know the kind of ficus tree or plant that you want to grow. The best soil to use for growing ficus trees is a sandy clay soil. This kind of soil will be able to hold water and nutrients and will also be able to allow excess water and nutrients to drain away from the soil. You need a glass of clean water to germinate your seeds. Place the seeds in a glass filled with water and watch the seeds sink or float. Seeds that have sunk are viable and fertile and these will germinate because these contain viable plant matter. Seeds that float are non-viable or sterile. These do not contain viable insides and therefore will not germinate or grow. 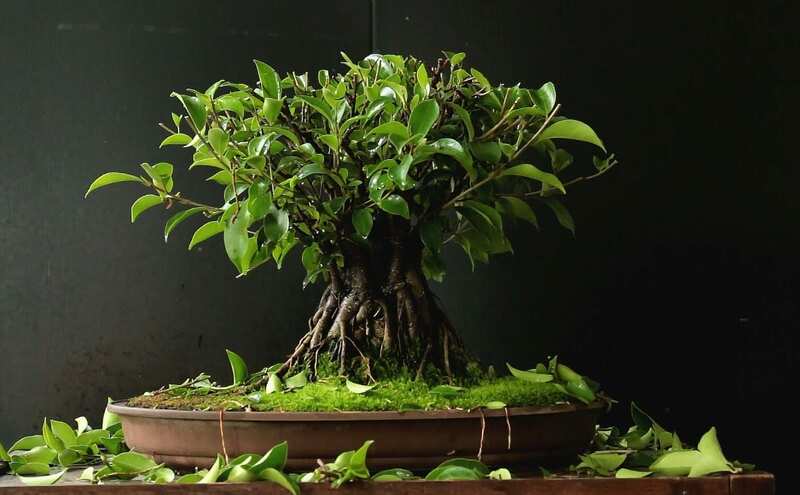 If you want to grow bonsai ficus trees, you need to understand how this plant behaves its dominant and unique characteristics and its captivating appearance. The ficus tree is a unique plant on its own but nevertheless, it is a bonsai plant that requires tender loving care. Aside from understanding all the fast facts about ficus plants, you must also learn how to be patient when growing bonsai. Bonsai trees will be able to grow well when you apply your good skills and remain patient with your plants. It could take a while for ficus bonsai trees to grow and to style accordingly. Therefore, you must be patient when growing this kind of bonsai tree. Never overlook instructions and tips from people who have grown this kind of bonsai before. Here are some fast facts about the ficus bonsai tree that can help you care for your ficus bonsai trees. To understand how ficus bonsai trees grow, you need to learn about the different ficus bonsai species. The ficus tree has roughly 850 species. Most of these bonsai species respond well to pruning and growing restrictions. The following are the most popular and possibly the most beautiful ficus varieties that you can grow now. This is also known as the Weeping Fig. This is one of the most popular houseplants in North America. This has a leathery appearance with deep-green ovate leaves that give this a lush and tropical feel. The Weeping Fig is one of the easiest to care for but should be reduced and styled carefully. The Ficus Benjamina is slow-growing compared to other ficus plants. You need to give special attention to this plant’s lighting, watering, pruning, wiring and so on. This type of ornamental plant thrives well indoors but it does not like being disturbed at all. You will notice that if you move a Weeping Fig from one place to another, it can become shocked to the point that it will drop its leaves. Any change in lighting, temperature, and humidity can lead to shock as well and again this can cause leaves to drop. The Ficus Benjamina has shiny green leaves, variegated with other cultivars. When grown indoors, leaves are approximately 4 inches long and are very slim. The branches and leaves may arch over and the trunk can grow in a twisted manner. Leaves may naturally fall during the summertime which is nothing to worry about. Another name for this ficus bonsai is the Morton Bay Fig. This plant has beautiful red-orange flowers that are present during springtime. It is a good ficus species to choose if you want to cultivate aerial roots because it responds well to constant pruning and severe reduction. And compared to other ficus species, the Ficus Macrophylla is least likely to drop its leaves. Possibly one of the most captivating physical characteristics of the Ficus macrophylla is its root flare. In the wild, the tree can strangle and gain control of poor innocent trees. This grows fast and once its roots are established, it can outgrow innocent trees. The challenge for bonsai growers who would like to grow ficus bonsai trees is to create a realistic root flare. It could take years to accomplish this but there are a few tricks to follow to be able to achieve this. You can use rocks, pottery or any object to design this tree’s roots. Over time the roots will avoid the object by growing sideways. The roots will give you the root design you have always wanted as time goes by. The Ficus macrophylla is not just popular for its unique and powerful root system but also due to its exaggerated taper in the trunk and the good branch development. This ficus species is also known as the Narrow Leaf or Willow Leaf fig. It has narrow leaves that can produce good branch ramification. Just like the Ficus macrophylla, this species can make lovely aerial root formations. This tree is native to South Africa and has a willow-shaped leaf just like the willow-leaf fig but the leaf is larger. An actual ficus salicifolia tree may grow up to 15 feet in height. If allowed to spread, this can produce expansive aerial roots, a nice buttress in the trunk while the bark turns from gray to red. The leaves of the ficus salicifolia are alternate, lance-like, curved and tawny in color as these mature. These develop a healthy green color as these mature. This tree will develop green figs that are small, brick-red in color and grow brown spots when these ripen. Ficus salicifolia will thrive well outdoors and respond well when regular applications of fertilizer are followed. When grown indoors. This may be grown indoors when given the right lighting, humidity, air circulation and temperature. This is also called the Chinese Banyan with ovate, dark green leaves similar to the Ficus Benjamina, however, these are glossier and larger. This is a ficus species best suited for people who are new to growing bonsai. This is a resilient tree that will respond to severe reduction and hard pruning. It is also very forgiving since it can bounce back to good health after inconsistent care, growing mistakes, and poor growing conditions. When the Ficus Retusa Microcarpa is grown outdoors, it can grow to a height of more than 20 meters. It can grow well in warm, light and most environments. This tree prefers as much light as possible and it can stand in full sun. The Ficus Retusa Microcarpa has ovate to round, glossy on one side and moderately leathery leaves. It has smooth and lovely trunk while some garden varieties have thick and swollen roots that stand above the ground. Almost all figs have the tendency to drop leaves when moved and during season changes. The trick is with the Ficus Retusa Microcarpa is to provide the right amount of moisture and light. Usually, it will regain new foliage after 2 weeks. One of the most amazing characteristics of ficus species is the trunk. The Nebari or root-flare is important in providing this bonsai a well-balanced appearance. The trunk is thicker at its base than the top of the tree (tapering). This appearance is achieved by allocating the growth of the tree to the branches just above the thin area of the trunk. This part will benefit from an increase in nutrients and therefore will grow thicker. Pruning the entire tree except for the branches above the thin part of the trunk is usually done. The overall shape of the trunk is also one of the most eye-catching features of this tree. Most successful growers bend the trunk once it reaches a certain degree of thickness. Therefore, it is important to consider the shape of the trunk when buying a ficus bonsai tree. When purchasing a ficus tree, it’s of utmost importance to rely only on a reputable grower, gardener or retailer. There are a number of bonsai tree dealers online who can help you purchase a healthy ficus tree to use. You can also find healthy and sturdy ficus trees ready to be pruned and treated from a local garden or retailer. And no matter where you purchase ficus trees, you must be smart when choosing a healthy tree. For low-priced bonsais, a large garden center is the best place to go. You will also find a variety of bonsai plants and accessories. For high-priced bonsais or top quality bonsai trees, shop from specialized shops or dedicated online sites. If this is your first time to grow bonsai ficus, purchase Ficus Benjamina because this is the hardest and the most forgiving species of ficus. Growing ficus trees from seeds are very rewarding but could take many years! By cultivating a ficus bonsai from a seed, you will be able to have total control over the development and the growth of your ficus plant. Before anything else, here are a few important things to consider when growing trees from seeds. Keep in mind that there are no special bonsai tree seeds because bonsai trees come from regular seeds harvested from regular trees. If you have a ficus tree in your backyard then, by all means, use its seeds to grow a ficus tree. Aside from getting seeds for free, there are a lot of advantages when growing ficus trees from seeds you have around. Choosing to grow seeds that came from your own yard makes it easier because you already know its climate needs, its size and appearance and any special growing needs as well. If you plan to use seeds from your backyard or neighborhood then planting it during autumn is the best way to go for ficus trees. However, if you are thinking of growing seeds that are not found from where you are located then you must use a “stratification” technique. Stratification is a special process that treats seeds before these are planted. This is done to stimulate the natural winter climate that seeds naturally endure before these germinate. Stratification could be complicated for a beginner grower, therefore, it would simply be better if you use seeds found in your local area. Germinating your ficus seeds is the first step before planting these in the soil. Ficus does well in tropical or greenhouse conditions where it gets a strong light and warm temperatures. Germinating seeds will help find out which seeds are sterile and which ones are fertile. Germinating seeds will also improve the initial stages of growth of your ficus trees. Once you have your seeds, find out about the stages of development of seedlings of the Ficus seeds first. Germinate your seeds by first placing these in a container of water for a short while. Seeds that will float are sterile and will not germinate. Seeds that sink have viable insides and are fertile. Sinking seeds will germinate. Place the fertile ficus seeds on the surface of the peat mix. Do not cover this because ficus seeds need light to germinate. Place this container outdoors in full sunlight. If outdoor temperatures are above 77 degrees Fahrenheit then place it in a partially shaded area in your yard. If the temperatures are too low then keep the container indoors and under artificial lighting. Keep the soil moist and take care not to dry out the soil. This will germinate for about 15 to 90 days. By the time the plant has emerged from the seed and the second set of leaves have sprouted, you can transplant these individual containers. Apply a layer of coarse, water-draining substrate. You can use lava rocks or grit to help remove excess water and fertilizer from the plant roots and allow oxygen to move into the plant roots. Place the seedling on the soil. Leave room in between seeds so that root systems will be able to develop very well. Water your seedling. Keep the soil slightly most daily. Water your pot at least once a day, after the soil has dried. Harvest cuttings from a healthy ficus tree. The cutting should be a healthy stem with no issues (no dryness, molds, insects, and discoloration). Use a sharp knife to cut the part from the tree. Use a diagonal cut to harvest the cutting. Water cuttings daily, keep the soil moist. Cuttings need to become stronger and develop a strong trunk, branches, and leaves before these can be pruned. You may need to wait for three years before you start pruning. One of the most admirable characteristics of Ficus bonsai trees is that these can grow and flourish in almost any kind of soil. This can be grown in clay, sand or loamy soil. This tree will thrive well in free-draining soils. Aggregates that should be added to the soil to improve aeration. Any of these may be used: Akadama, sand with coarse grains, decomposed granite, pumice, turface or diatomite. The Ficus tree will survive even when its roots are pruned as long as root pruning is done at the right time. As with most bonsai trees, pruning the roots should be done before the leaf buds swell on the tree which usually happens during early spring. It is also during this time when the young tree should be repotted as well. Repotting is necessary to let the young bonsai tree develop better root systems. As mentioned, ficus trees are known for their wonderful aerial root formations and this can only be achieved when the bonsai tree roots are trained well, when you use the right kind of soil and when you plant your bonsai tree in a pot conducive to root training. If you want to emphasize the aerial roots of the ficus tree bonsai, use a large pot. It doesn’t have to be deep because you will be training your bonsai to expose its lovely roots. And aside from taking note of the best pot to use, you must also keep in mind basic planting pot tips to help your ficus to grow healthy and strong. There are a variety of pots that you can use to repot your Ficus Bonsai but if you want to follow true Japanese tradition in repotting bonsai; your trees should be placed in glazed pots. There is no specific color to use but if you must pick a color, use one that will highlight the intense green leaves and strong trunk and roots of the ficus tree. Glazed pots for bonsai growing are available from online sites or from local garden supplies. The very first thing to consider is the drainage. Though some glazed pots may have fancy colors and designs, these may not have adequate drainage for your bonsai trees. Keep in mind that if a large and deep pot it used, about four or more drainage holes should be present. Ficus trees need a lot of water and will grow well when the soil is damp or moist. Drainage holes will improve water drainage and a lot more. Drainage holes will prevent nutrient lock in the soil. When you use liquid nutrients chances are these are readily absorbed by the roots. However, there is also a chance that there will be excess nutrients that may be left in the soil. Planting pots that don’t have adequate drainage holes will only keep nutrients in the soil. These minerals may accumulate and cause toxicity which could be detrimental to your ficus trees’ health. Drainage holes allow oxygen to move into the soil to be absorbed by the roots. Oxygen passes through these drainage holes and move through soil and is absorbed by the roots. This in turn help grow ficus trees with good root systems. And good root systems will help develop large aerial roots that the ficus species is known for. Drainage holes will help improve root systems of ficus trees. During the early stages of bonsai growing, your trees need to develop a good root system and this may be accomplished by using the right kind of soil like sandy-clay soil that allows root movement and growth and using a pot with a good drainage system. Drainage holes allow garden creatures to move into the pot and help in developing healthy ficus trees. When you grow your ficus bonsai outdoors, garden insects and earthworms may enter the pot via the drainage holes. These creatures will be able to fight pests, replenish nutrients in the soil and keep the soil aerated. All these will contribute to improved soil health and root health and growth in the long run. This type of bonsai tree will thrive even under regular sun exposure as long as it receives adequate amounts of moisture. Aside from regular watering, this tree should thrive in the nutrient-rich soil to preserve soil health and moisture. If you plan to grow your Ficus under the sun, a deeper pot should be used to hold more water or moisture. For growing bonsai indoors you can use a shallower pot. ou must water this every other day when the weather turns cooler. This is an important thing to remember if you are growing your bonsai outdoors. Take note that you must not overwater your ficus trees as well because these could become susceptible to mold growth. Water only when the soil is dry. No doubt that the Ficus bonsai is a strong tree which means that even first-time growers won’t have issues with cutting, shaping and pruning this tree. Shaping the leaves, stems, and branches according to the shape you want to achieve is done as early as the tree has acclimated to its growing medium. Prune leaves and stems only when the plant has regained health after stress (i.e. no falling leaves or leaf discoloration). Another thing to consider is root pruning and shaping roots for aerial root shaping. It could take years to accomplish this but there are a few tips achieve the design or style you want. You may use rocks, pottery or any object to design the roots. Place these objects on the soil where you want the roots to avoid. Over time the roots will avoid the object by growing sideways; you will achieve the root design you have always wanted in time. Using wires to train branches and to shape the bonsai trunk is one way to shape a bonsai tree. 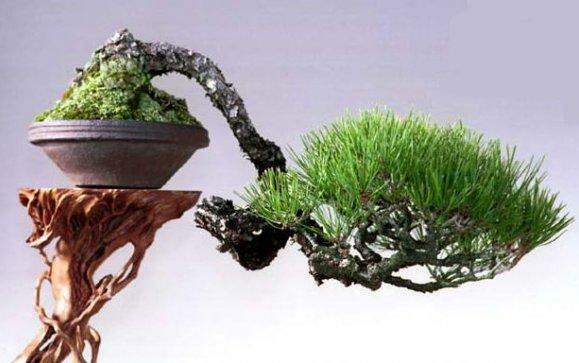 This is one way to design a bonsai tree to any basic or elaborate shape. This is why it has to be started when the tree is still young. Wiring when the wood is mature or old is harder to do because the wood is stiff and old. It would also cause severe damage to the trunk or branches as you try to move or shape old wood. Wiring old wood can cause internal fractures within the tree and although these fractures may heal after quite some time, an ugly mark or swelling will be left on the fracture site. Wiring young Ficus is a good way to achieve any kind of bonsai tree style or design. It is also important to remember to remove the wire as soon as you have achieved the shape or design you want. The wire should be removed the same season it was attached. Wiring is a time-tested technique to shape a bonsai tree. With wiring, you can shape style and train bonsai trees safely, effectively and at the least amount of time. By wrapping the wire around the young branches of a ficus bonsai tree, you will be able to reposition its branches according to the shape or style you want. Usually, it will take a few months before the branches are set depending on the kind of shape you intend to follow. There are a number of styles that you can use to shape a ficus tree. The Shakan bonsai growing style is one of the classic bonsai tree designs. The Shakan is also called the slanted bonsai tree because it looks like a slanted tree. The trunk of the tree protrudes from the soil in a slanted position. This bonsai tree straightens out to an outward position with the trunk in a 60-80 degree angle. Some of its branches may shoot downwards because of its complicated design but overall, it’s its imperfections make the Shakan style perfect. The Shakan style bonsai recreates the effect of a dominating blowing wind on trees. The first branch of a Shakan style bonsai grows opposite to where the tree leans. This creates a sense of visual balance. The trunk could be slightly bent or straight but the leaves are thicker at the bottom than those on the top. To create that classic slanting and windswept style, you can utilize a variety of techniques. One of the ways to do this is to use strong wiring which helps control the growth of the main trunk. Wiring may also be used to control the height of each branch. But always remember to remove the wire from the branch before it digs into the bark of the tree’s precious trunk or branch. Another way is to apply strong sunlight from one direction only. Plants follow sunlight because they need sunlight to grow. A plant will grow towards the light or stretch towards the light. Applying light in only one direction will create a slanting bonsai style. Another way is by tilting the bonsai pot. Tilting the pot will achieve a slanted effect to but make sure that water does not collect at one end of the pot because this may lead to mold development and root rot. You can shape your ficus tree into a mighty little tree when you use the Hokidachi Symmetry. This is a symmetrical bonsai design that appears like a broom. The bonsai has a straight trunk and a bell-shaped crown. The limbs and leaves are positioned well which makes this design simple yet graceful. To create a beautiful crown of symmetrical leaves, a crest of leaves is found straight out over the trunk at 1/3 of the tree’s height. The Hokidachi style is perfect for trees with fine branches like the ficus tree. To achieve this gracious design wiring is done to position the tree branches in a broom-style fashion. Continuous wiring and pruning help develop that dome-shaped appearance on top of the tree. The Dramatic Fukinagashi is another cool tree design that will work quite well with a ficus tree. It looks like a windswept head of hair during a storm. This style is pretty impressive but is more common than you may think. In this style, the branches, as well as the trunk, grow to one side only to recreate a strong blowing wind moving in one direction. Wiring, lighting on one side of the tree and tilting the pot are used to create the Fukinagashi style. The wire will control the growth of the trunk to one side as the leaves and stems are pruned to perfection. The leaves are thicker from the lowest part of the trunk and tend to become thinner at the top. This is achieved by constantly pruning and shaping this part of the plant. The Shari Bonsai Style is a style that is achieved by shaving the bark to keep new growth from appearing. A popular Shari style is a stair effect with limbs randomly placed along the trunk. Some branches may be long or short in this style so it’s up to you to prune this according to the style you want to achieve. The leaves on the top of the tree create a perfect aesthetic balance. The Shari bonsai style is based actually based on the natural development of some bonsai plants. Some trees develop a bald or barkless area on their trunks because of harsh weather conditions. The bald area appears first from the place where the roots emerge from the ground. This becomes thinner as it moves up the trunk. The Seki-joju or Rocky Terrain style is very popular in ficus tree bonsai. It is basically growing bonsai around an obstacle such as a jagged or smooth rock. This also happens naturally as the roots of trees grow underneath and along the sides of nearby rocks. The roots stretch and grow along all the sides that surround the rock. Roots can even crawl around the rock surface as the trunk of the bonsai has formed. The tree will continue to grow in a straight manner as it overcomes various obstacles in its path. The Rocky Terrain is a sight to behold in miniature ficus trees. Root pruning can move around a piece of rock. But not all trees will do well with a Rocky Terrain style. Usually Juniper Bonsai and tropical like Ficus Bonsai are the best. The Literati style has a skinny trunk and has a number of curves leaves. A ficus tree will do well with this style although you need to patiently style its trunk to achieve the literati style. Growers and bonsai enthusiasts say that this style depicts the struggle in nature to preserve even the tiniest form of life. There are a few bald spots along the trunk to recreate dead branches. The Literati bonsai style is naturally seen in trees that are located in areas that are densely populated by other trees. The trunk is naturally bent and grows crookedly upwards. When styling bonsai tree, this is achieved by allowing the sun or artificial light to hit the top part of the tree. The bark of the bonsai may be removed to make the miniature tree look tougher and stronger. The Literati style gives a message that the tree has undergone struggle to survive. This style is usually planted in small round pots. This is a mysterious flowing slope design created by growing the bonsai in a tall, cylinder pot. As the roots are established in the growing medium it becomes so strong that the trunk will naturally move towards the side of the container. There is a noticeable S-shaped pattern when the cascading Kengai is found in the natural setting. This is found in plants that grow in steep cliffs which begin to bend downward. A young ficus grows upright for a small stretch but because of natural factors, this could bend forward. The crown of the tree should grow about the rim of the pot. Branches in a kengai setting grow alternatively and with wiring, this should grow horizontally to maintain the balance of this design. Wiring will help promote the cascading effect and pruning the leaves and stems will help maintain the natural cascading effect. This bonsai style is similar to the cascading style but may not look as dramatic as the cascading kengai. A section of the trunk is grown straight while a branch is allowed to grow outward and slightly downward. A small area of the trunk is left before the thick branches are found. These grow in different directions. The leaves are low-lying which means that this style requires a deeper pot to control and preserve the formation. The han-kengai is also known as the semi-cascade and is found in nature in trees on cliffs, along with the river banks and along the edges of lakes. You must use wires to control the growth of this style and to maintain a semi-cascading style. This is a bonsai display that has a horizontal style. It looks like a fallen tree in the forest where the trunk is home to all kinds of plant life form. Plants grow inside the fallen tree trunk because of a small patch of sunlight through a small crack in the tree. This may look like a very complicated bonsai style because it looks like several trees have been grown in succession. However, this is only due to a strong root system. The netsuranari horizontal display is achieved by years and years of work and patience. It needs a low planter to present the trunks and limbs in a variety of positions: straight, curved or slanted position. Wiring and pruning are done extensively along with root pruning so choose a resilient type of tree to use if you want to create the display. This bonsai style is actually a collection of bonsais placed in a round, flat container. This is a display that is quite hard and takes longer to achieve. You also need good growing skills as well as patience. One tree is planted in the middle of the container. The roots of this plant will spread horizontally will begin to grow. As the trunk separates, there will be multiple trunks that protrude from the soil. Adding smaller trees on either side will create a staggered look which can resemble a forest. A variety of wiring techniques and pruning strategies are used to create this style. Don’t rush this style to make it look as natural as possible. You can wire your bonsai plants to train them and you can start any time of the year. Some species of ficus trees are deciduous and should be wired in the late winter because the absence of leaves will make it easier to wire them. During the growing season or as the tree branches grow thicker and faster, the wire can cut through the bark which can lead to marks and scars and therefore should be removed. Check your bonsai tree while this is wired, you need to check your tree regularly and remove the wire accordingly as well. There are two kinds of wire to wire a Ficus or any bonsai tree. You may use anodized aluminum and annealed copper. Aluminum is ideal for deciduous trees while harder and stronger wires like copper are for harder species like conifers and pines. It could be a challenge to wire bonsai especially if you are new to growing bonsai trees. In this case, you must initially use the anodized aluminum wire which easier to use and is readily available almost anywhere. Wire for wiring bonsai also comes in a variety of thicknesses. 1 mm to 4 mm is commonly used by much first time or expert growers. To prevent injury to the branch or trunk, you must wrap these first with raffia-soaked water. Raffia is palm fiber that you can purchase from garden stores locally or online. This will protect branches from damage because of bending and moving. Wire two branches of the same thickness which are found near each other using a single piece of wire (double-wiring) while wire branches separately (single wiring). Wire two branches to shape before bending them. This will avoid injuries on any of the two branches as you shape the bonsai. When you want to shape an entire tree, start wiring from the trunk to the primary branches. Then proceed with wiring the secondary branches. Use a wire of 1/3 thickness because the wire has to be thick enough to hold the branch to the shape or style you want to follow. Select the pair of branches that you want to wire together. The branches need to be of the same thickness and are located near each other. The wire should be wrapped around the trunk once so that the wire will not move as it forms and shapes branches. Cut off the wire depending on the length you want to use. Start wrapping the wire from the trunk and then move slowly to the first branch. The key is to start from the base of the branch to the tip and only after this you can proceed with wiring the next branch. The wire must be wrapped around the branches in a 45-degree angle to allow the tree to grow thicker while maintaining a new shape and style. When bending a branch downwards, the wire must come from below. When bending upwards, the wire should come from above. After you are done with all pairs of branches, wire the remaining branches with a single-wire technique. Cut the right length of wire you need for the activity. When using multiple wires in the same area do not put these neatly in line because this can cut off the branch you are wrapping or even damage it. Continue wiring the branch that needs to be arranged. After you have wired all the branches that you want to reposition, you need to reposition, you may start bending and repositioning the branches. Do this very carefully by holding the outside part of the branch carefully with your fingers. You must be very careful to avoid splitting or injuring delicate branches. When the branch is in position, stop moving it to prevent further damage. Bend straight sections of branches slightly to make the style look more natural. After wiring your Ficus bonsai tree it’s time for some aftercare. Place your tree in a pot preferably in the shade in the shade to allow it to recuperate. Feed your bonsai nutrients. There during the growing season and remove the wires on schedule to prevent these from injuring or cutting the tree bark. Follow the time you need to remove the wires. When removing wires, cut the wires at every turn. Never use or recycle the wire you used because it this makes it harder to remove the wire and you will only end up damaging your tree. Removing wires at every turn makes it easier to remove too. Decide if you will use a double or single wire to position the branches of the bonsai that you want to style. Select the thickness of the wire you will use on your bonsai tree. Be sure to wrap the wire neatly in line along the branch. After completely wiring the branches you want to reposition, bend the branches into position. Do this slowly to prevent any damage or injury to your bonsai tree. Use a guy wire to bring down branches which are too high. Wrap a protective material around the branch you will wire and place a hook at the end of the wire. Secure the hook and once the hook is in place a thick piece of wire at the end and allows this to hang from the hook. Extend the guy wire and attach it to a strong root. This will hold the branch down if this is important in repositioning your bonsai. As mentioned, check your tree regularly after attaching wires to Remove the wires as scheduled to avoid the wires from growing through the branches and eating through the branch and trunk. Decide when to apply the wire again and adhere to your schedule. Ficus bonsai trees are very hardy but are still prone to some conditions. As mentioned, it is prone to leaf fall especially when it is stressed. The leaves are prone to this condition when it is moved or when exposed to very cold conditions. This stress may be avoided if the bonsai is rarely moved or when it is placed in an environment conducive to its growth and development. Another condition is root rot which happens when the root is immersed in water for a long time. This may be avoided by using the ideal soil for bonsai trees like a sandy clay soil which has excellent absorption and drainage properties. You must also avoid overwatering your plants and water only when the soil is dry. When it comes to pests, you can prevent these by having farmer-friendly creatures nearby like ladybugs and earthworms. Ladybugs can eat and destroy aphids which can eat leaves and render your plant defenseless. On the other hand, earthworms can fortify the soil and keep it aerated. The ficus bonsai tree is a good bonsai tree to start with and there are many reasons why. One, it does not require a lot of work to grow and maintain this tree. 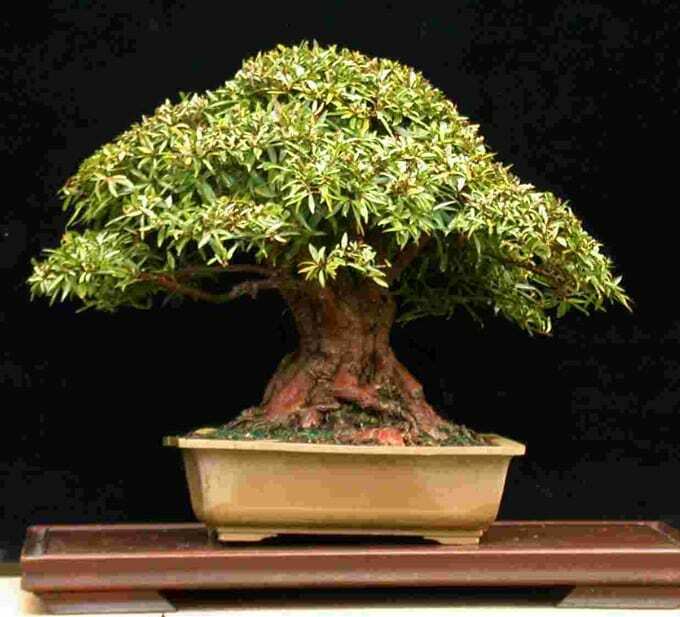 Next, it is very beautiful and it could be rewarding to grow such elegant and stately bonsai plant. Finally, this is one of the most versatile trees because of its ability to conform to almost all designs. The ficus is really a worthwhile bonsai tree that you must try out.